The tilt between Denmark and Australia will be played at the Cosmos Arena in Samara on June 21st. The luck was completely on the Danish side in a game with the Peruvians who even missed a penalty in the process and now they have the opportunity to battle for the top spot in the group with a win on this one, while the Socceroos must win to stay in the race for the Round of 16. Denmark was a slight favorite to beat the Peruvians at +129, and they managed to win 1-0 but with plenty of luck. Namely, the Incas were better for the most part of the clash but missed a golden opportunity to score from the penalty kick, but Christian Cueva sent the ball well over the bar. Peru continued with attacks in the second half, but Kasper Schmeichel was outstanding between the sticks, while Yussuf Poulsen scored on the other end in the 59th minute after a quick counter and connection with Christian Eriksen. The Danish Dynamite covered the +0.5 spread at +120, while the game went under 2.5 goals at miserable -222 odds, but it could be the whole another story if Cueva managed to convert the penalty in the first half. On the other hand, Australia wasn’t expected to get anything out of a duel with France and they left empty-handed as Aziz Behich’s flick following Paul Pogba’s shot ended behind Mathew Ryan’s back to make it 2-1 for France in the 81st minute. Mile Jedinak’s equalizer in the 62nd minute was just enough for all the punters who backed both teams to score at +137, while Behich’s own goal helped those who had over 2.5 goals at -143. Christian Eriksen recorded an assist and directly affected the outcome of the match with Peru, and he could be even more effective in the tilt with the Socceroos, so Tottenham’s midfielder has a pretty favorable matchup here. Bert van Marwijk decided not to introduce the legendary Tim Cahill in the game with France, but it seems that the Australians will need his help on this one. Cahill is the all-time leading scorer with 50 goals and although he is 38, his experience and quality in front of the goal can help his team here. Denmark:Schmeichel; Dalsgaard; Kjaer, Christensen, Larsen; Delaney, Kvist, Eriksen; Poulsen, SIsto, Jorgensen. Australia: Ryan; Risdon, Milligan, Sainsbury, Behich; Jedinak, Mooy; Leckie, Rogic, Kruse; Cahill. Denmark’s chances to lift the trophy in Russia are +8000, while the Danish Dynamite is +250 to make it to the quarter-finals. Australia’s chances to win the World Cup are up to +150000, while the Socceroos are +2200 to reach the quarter-finals. 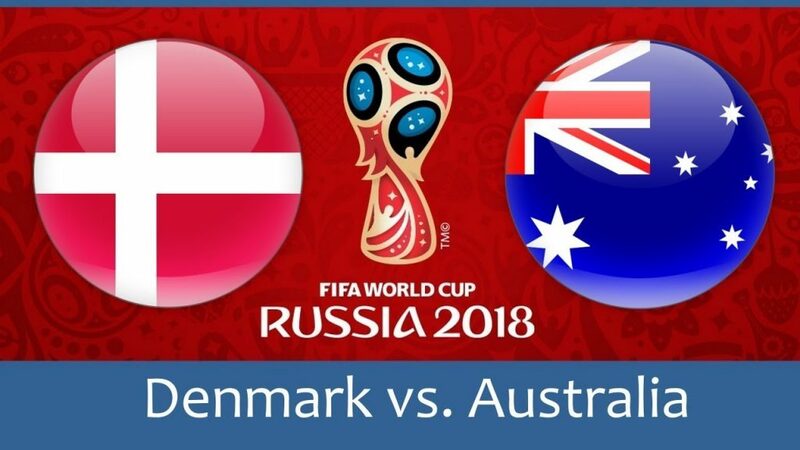 Denmark to win at -111 is a solid option considering the Aussies need to play more attacking football and try to score as early as possible, which is a great opportunity for the Danish Dynamite to hit them on the counters as they did with Peru.